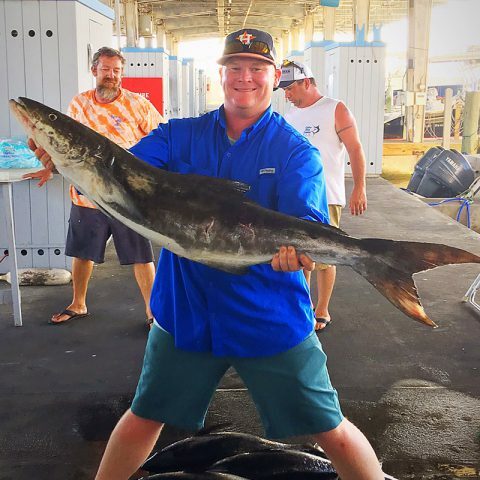 You will be travelling with the best Galveston Fishing Charter Company from the marina out into the Gulf of Mexico 15-30 miles in search of some of the biggest, meanest, fastest swimming fish in the ocean. The Kingfish trip is an all-inclusive trip. We will provide the fuel for the boat, all bait, tackle, rod and reels, bottled water for your thirst. The Captain and a Mate ensure to make your trip awesome. 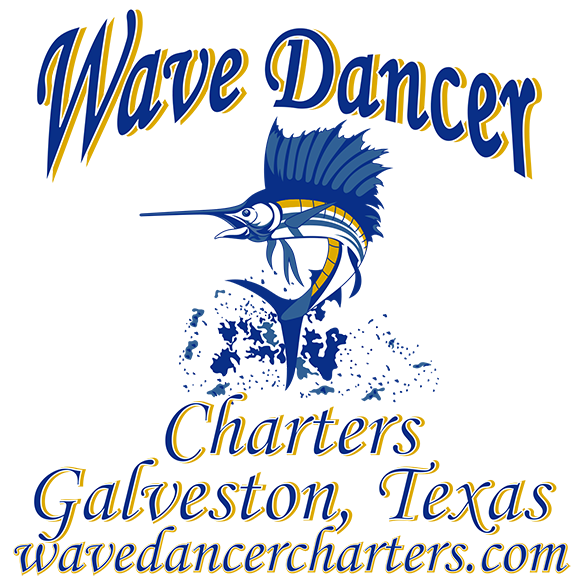 Don’t forget to check out our other Deep Sea Fishing Galveston charters! You will fish aboard one of our finest, Federally Permitted 36′ Yellowfin and our 42 Hatteras boats. The Kingfish trip leaves the dock at 7:00 AM and will return around 1:00 PM. How long is our Kingfish Trip? 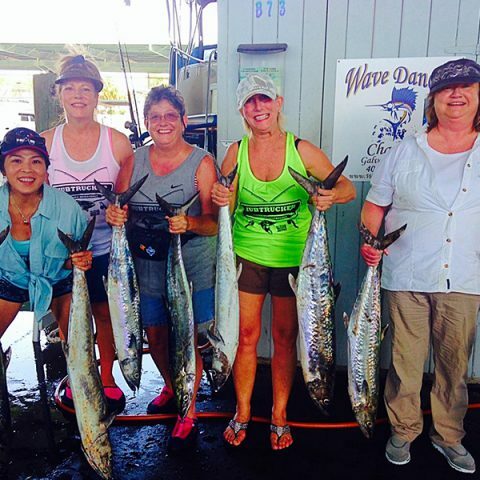 : The Kingfish Trip is a 6-hour adventure. Where are we going to be fishing? 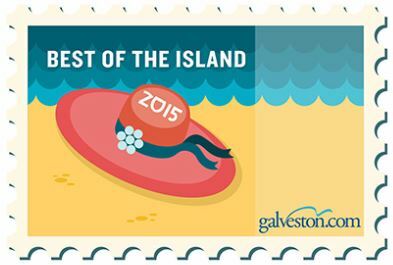 : 15-30 Miles Offshore. When can I book my Kingfish Trip? : May through August, possibly September. Can I bring some friends and family? : You may bring up to 6 people. The 6-hour Kingfish Trip on the beautiful and powerful 36′ Yellowfin and our 42 Hatteras comes to $1,200 for up to 3 people and you can add 1-3 more people for just $200. A $200 deposit is required to book your trip. The Shark Hunt trip is all-inclusive. We provide the fuel to the vessel, all bait, tackle, pole and reels, filtered water for your thirst. Captain and a Mate will guarantee to ensure your excursion is magnificent. We will clean the fish and bundle them back on the dock. The Shark Hunt trip is an exciting, one-in-a-lifetime experience as we target ONLY big Sharks. This is an immaculate, adrenalin flowing time. We go from the marina out into the Gulf of Mexico from the shoreline front searching for shrimp pontoons up to 30 miles out around oil stages and submerged wrecks and reefs chasing for these mammoths of the sea. You will fish aboard one of our finest, Federally Permitted 36′ Yellowfin and our 42 Hatteras boats. 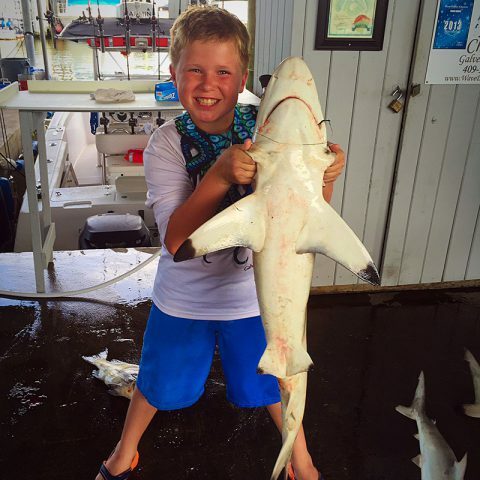 The Shark Hunt trip leaves the dock at 7:00 AM and will return around 1:00 PM.